A Brazilian photographer has captured his wife’s pregnancy and home birth in an intimate series of photos. Gustavo Gomes took the shots of his girlfriend Priscilla as she went in to labour. 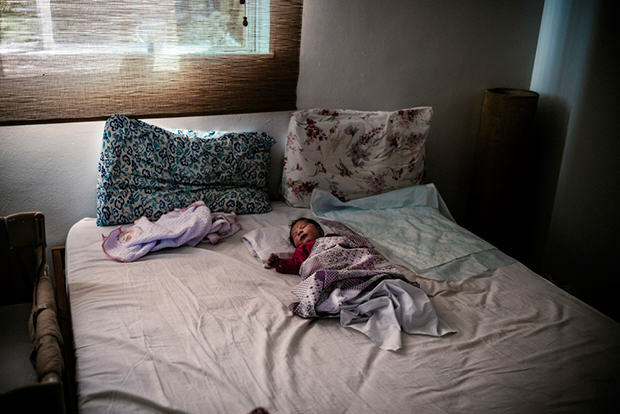 He documented the entire twenty-hour process, from the pain of the initial contractions to driving to the doctor, where it was confirmed she was dilated, at which point they dashed home to give birth, as well as the aftermath, with the baby in its crib. Her pregnancy came as a surprise, but the couple embraced it, and Gomes said he was ‘a bit euphoric’. He’d always documented their life together, so this felt like a natural thing to do for him.